Got time? Got talent? Looking for volunteer opportunities for the whole family? Want to help clients practice job interviews or write a resume? Instructions on becoming a volunteer are available in the "Getting Started" sidebar. We rely upon our committed volunteers in our PADS Shelter to help set up and break down the shelter, prepare meals, and generally supervise the space to ensure a safe environment. We simply could not do our work without you! 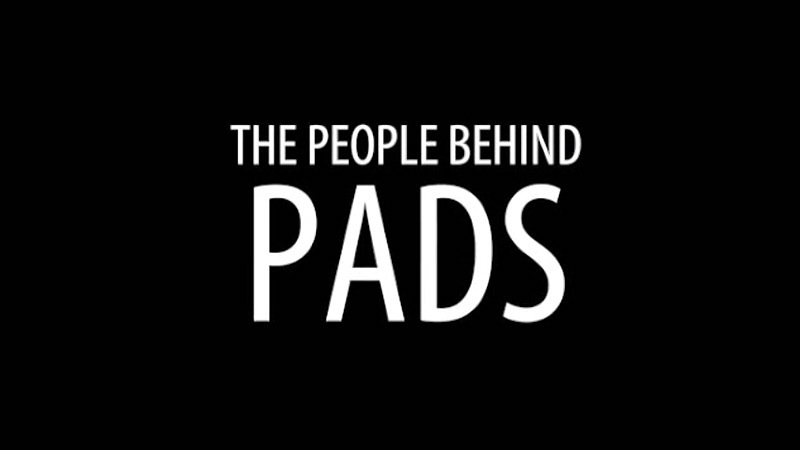 The PADS Shelter program begins on September 17, 2018 and runs through May 14, 2019. The program provides overnight shelter and three daily meals, seven days a week, for 40 to 60 individuals at 10 rotating sites in Berwyn, Forest Park, and Oak Park. The shelter is a gateway for a wide array of supportive services aimed at reducing the length of homelessness for our overnight clients and helping them work toward the ultimate goal of achieving and sustaining housing stability. New volunteers interested in getting involved, please follow the instructions on the "Getting Started" tab in the sidebar. Current volunteers, please contact our Volunteer Coordinator, Enid Johnson at ejohnson@housingforward.org or 708.338.1724 ext. 320 for scheduling. If you would like to sign up as a monthly meal provider, please click on the link below to view opportunities. It is mandatory to attend a training session before volunteering. Trainings are held twice a month and we ask that you register in advance. Please reach out to our Volunteer Coordinator at volunteer@housingforward.org or 708.338.1724 ext. 313 for scheduling. Our Support Center is open Monday through Friday during business hours. In the Support Center, clients address basic care needs such as showers and laundry, receive mail and search for jobs. If you are interested in getting involved in the Support Center, or feel that you have a unique talent that would be well suited for this environment, please follow the instructions on "Getting Started" in the sidebar. Volunteers are currently needed once or twice a week to help clients and services of the Support Center. Our Employment Readiness program includes Career Passport, an intensive, group-based course which addresses clients' barriers to employment. We also offer one-on-one job counseling and employment location services to clients. There are numerous skill-based volunteer opportunities in this program, including resume writing, mock interviews, etc. If you are interested in getting involved with this program, please follow the instructions on "Getting Started" in the sidebar. Our Emergency Assistance and Referrals Program provides referrals and modest emergency financial assistance for food, housing, utilities and transportation to individuals and families at urgent risk. Our goal is to address the immediate crisis so the individual or family can work on additional steps on the path toward stability. The program's compassionate volunteers listen to each person’s individual situation and, working together with the client, use solutions-based counseling to develop a plan of action. There are several skill-based volunteer opportunities in this program. Client Counselor: Meet with individual clients to discuss their needs and develop an action plan. A counseling background is not necessary but good non-judgmental listening skills are a must. Extensive resource and referral training is provided.ed in getting involved, please follow the instructions on "Getting Started" in the sidebar. Short Term Stability Services Volunteer: Assist in providing short term solutions based on case management to clients. In addition, volunteers will develop ongoing referrals and resources for our clients’ needs including but not limited to a knowledge of housing placement options, community resources, budget and employment programs. Volunteers should be comfortable with using a computer for data entry, experience with direct client services and a flexible attitude as the needs of our clients and the program adjust and change over time. Social work experience is a plus but not required. Registration Assistant: Greet and register clients. Registration is done using client database software which requires very basic computer knowledge. Training will be provided. Research: Perform phone and/or internet research to verify existing referral agency information and locate new referral agency sources. Volunteers can do this work offsite. Administrative Assistance: Help maintain client files, answer phone inquiries and return voice messages; maintain resource literature racks and bulletin boards, compile client stories, assist with correspondence and provide other administrative support. Auxiliary Board: Housing Forward’ is currently seeking new board members to work on our annual fundraising Gala in February. This board is solely responsible for gathering items for the event’s silent auction and members can choose from a variety of assignments such as soliciting local business for donations, preparing donation solicitation packets, picking up donated items, assembling baskets of smaller auction items, helping the day-of to set up auction areas, etc. The time commitment and assignments can vary based on personal interests and schedules. Minimal group meetings, majority of work can be done from home. If you are interested in joining this dynamic, fun group we encourage you to apply. If you have questions, please contact Trisha Marchand at 708.338.1724, ext. 230 or via email at tmarchand@housingforward.org. Associate Board: ​Housing Forward’ Associate Board is an innovative group of young professionals who are committed to furthering the friend-raising and fundraising efforts of Housing Forward. This new board will provide individuals the opportunity to develop new skills and broaden professional social circles while working to end homelessness. If you are looking for an opportunity to put your creativity, talents and skills toward a great cause, we encourage you to apply. If you have questions about the Associate Board, please contact Trisha Marchand at 708.338.1724, ext. 230 or via email at tmarchand@housingforward.org. Graphic Designer: Are you looking for a place to volunteer your talents? Housing Forward is looking for skilled volunteers with a passion for helping others. If you are a graphic designer or graphic artist and able to spare a few hours on an ad hoc basis, we could use you! Potential projects include designing event flyers, posters, general collateral development, print/electronic ads, signage, etc. This volunteer opportunity will require access to a personal computer and design software. If you are interested in this opportunity, please contact Janet Gow at 708.338.1724, ext. 262 or via email at jgow@housingforward.org. Photography: Volunteers needed to photograph various fundraising events, dinners, benefits, etc. Must have access to own equipment and willing to share photographs via Dropbox and other social media. Time commitment varies, depending on agency events and personal preference. If you are interested in this volunteer opportunity, please contact Carrie Bankes at 708.338.1724, ext. 283 or via email at cbankes@housingforward.org. Please note, applications will be reviewed on a rolling basis through December 31, 2018. The earlier you apply, the earlier you could start! Don’t miss your chance – apply ASAP. What is AmeriCorps? How does it support Housing Forward? AmeriCorps engages service minded Americans in intensive community outreach each year at nonprofits, schools, public agencies, and community and faith-based groups across the country. Since the program’s founding in 1994, more than 800,000 AmeriCorps members have contributed over 1 billion hours in service across America while tackling pressing problems and mobilizing millions of volunteers for the organizations they serve. Housing Forward’s mission is to transition people from housing crisis to housing stability. AmeriCorps members help forward this mission by assisting clients with basic needs and encouraging access to services and housing. Members will engage in an intensive service year that includes direct service and support, job specific training, community service, as well as engagement in monthly group activities. At the end of your service year, members will also engage in exercises focusing on life after AmeriCorps to help evaluate your accomplishments and figure out how to combine your skills and interests into a potential career path. Interested in Serving as an AmeriCorps member at Housing Forward? Are you looking for an opportunity to make a real difference in the community? Do you want to gain new skills and experiences? Are you passionate about empowering in your community? Housing Forward is currently seeking 12 individuals to serve as full-time AmeriCorps Team members for 2018 – 2019 service year. Service Locations May Include: Maywood, Oak Park and LaGrange, IL. Members must have demonstrated experience and ability to interact sensitively and respectfully with persons of various backgrounds and all walks of life. Fill out a volunteer profile form. Our Volunteer Coordinator will contact you after processing the form and schedule a time for orientation and training. If you are under 18 years old, print this consent form, have your parent or legal guardian sign it, and bring it with you to your orientation.